CrystalBalls™: radiochromic polymer gel dosimeters, sealed inside thin-wall glass spheres of standardized dimensions, approximating the size of a human head. ​ Self-developing. Muscle-tissue equivalent. Instant QA phantom setup. No Cables. No electronics. 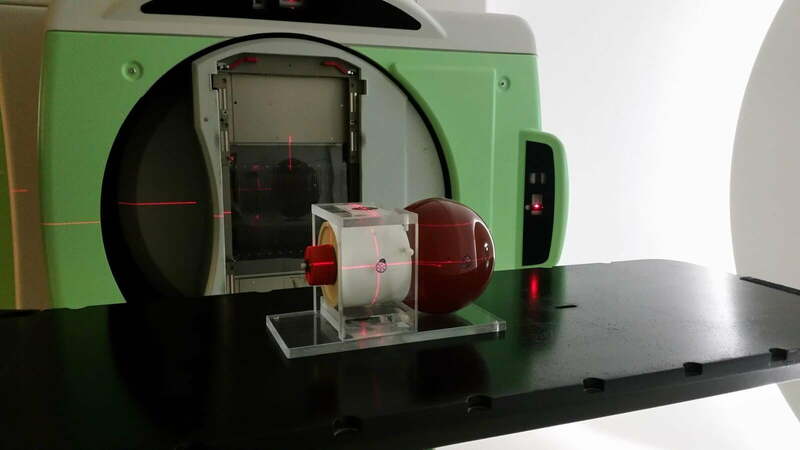 Readout by a desk-top laser CT scanner. ​Specifications: isotropic voxel resolution down to (0.5mm)^3. Dosimetric accuracy: 0.5% relative, 2% absolute. For QA of: SRS or SBRT, using VMAT, RapidArc, MR-Linac, CyberKnife, GammaKnife, Proton Therapy, Halcyon, and others. Good for commissioning, machine QA, and patient-specific QA. Ideal QA for single-isocenter VMAT of multiple brain metastases. 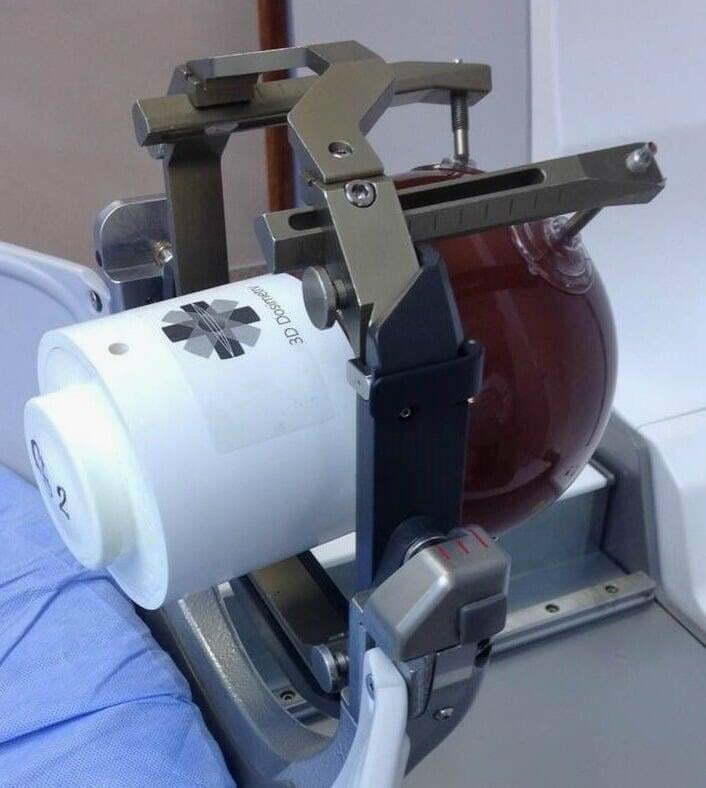 ​QAbyMail ™ Service: Customers return exposed CrystalBalls and DICOM files to 3D Dosimetry Lab for laser CT scanning and QA analysis. High-definition 3D QA reports are returned by email. They may be customized but normally include 3D gamma histograms & passing rates; volume histograms and voxel statistics for dose difference and distance-to-agreement; overlays of planned vs measured 3D and 2D isodoses, profiles and dose-volume histograms; detected shifts of the center of mass of the 3D dose cloud; interactive 3D maps of dose difference, distance-to-agreement, and 3D gamma. Proton PBS IMPT. (a) 3D isodose surfaces at 50% dose level. Red - plan, blue - measurement; (b) Coronal isodoses. Solid - plan, dotted - measurement. (c) I-S profile overlay. Red - plan, blue - measurement, yellow - dose difference, magenta - DTA, cyan - 3D gamma. 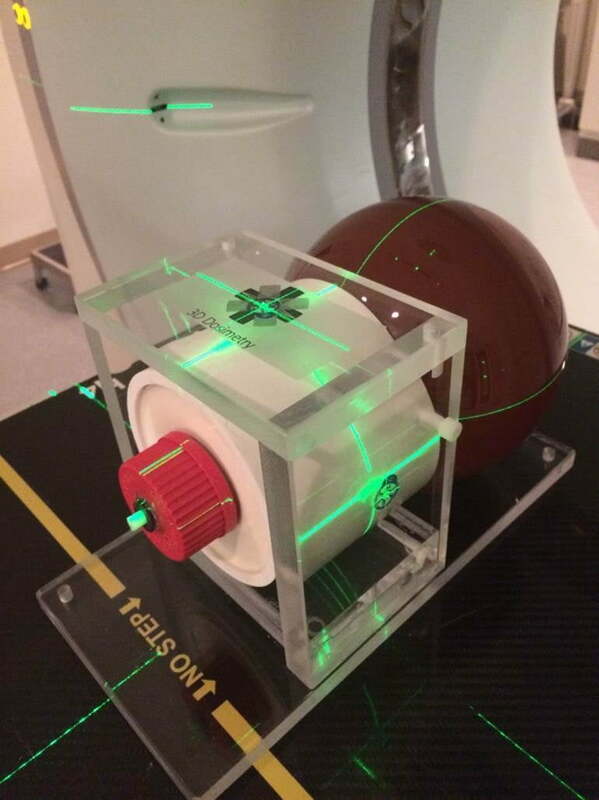 The Crystal Ball™ End-to-End QA detects and measures any and all clinically significant cumulative errors that may originate anywhere during radiation therapy or radiosurgery planning and delivery process ​ and are located anywhere within the treated volume. Copuright © 2019 MGS Research, Inc. , d.b.a 3D Dosimetry. All rights reserved.